This entry was posted in News on February 11, 2019 . 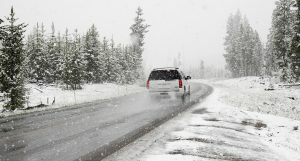 Environment Canada is watching a winter storm which is expected to make its presence felt locally on Wednesday. The national weather forecaster has issued a Special Weather Statement, indicating a low pressure system approaching from the southwest will cross the Maritimes on Wednesday night, bringing milder temperatures, strong winds and mixed bag of precipitation to Nova Scotia. Snow ahead of the system arrives Tuesday night in the southwest and will spread northeastward through the day on Wednesday. Environment Canada says current forecast guidance indicates the snow will change through to ice pellets and freezing rain to rain by Wednesday afternoon, particularly for southern regions of the province. Travel may be difficult on Wednesday and some areas may experience periods of reduced visibility in snow and blowing snow. Precipitation will diminish to scattered flurries on Wednesday night as the system moves off. There’s still a lot of uncertainty in the track and intensity of this system and a slight change will affect the location, type and amount of precipitation seen in the province.